Tickets For Less is one of the foremost sellers of Royals tickets in the country. 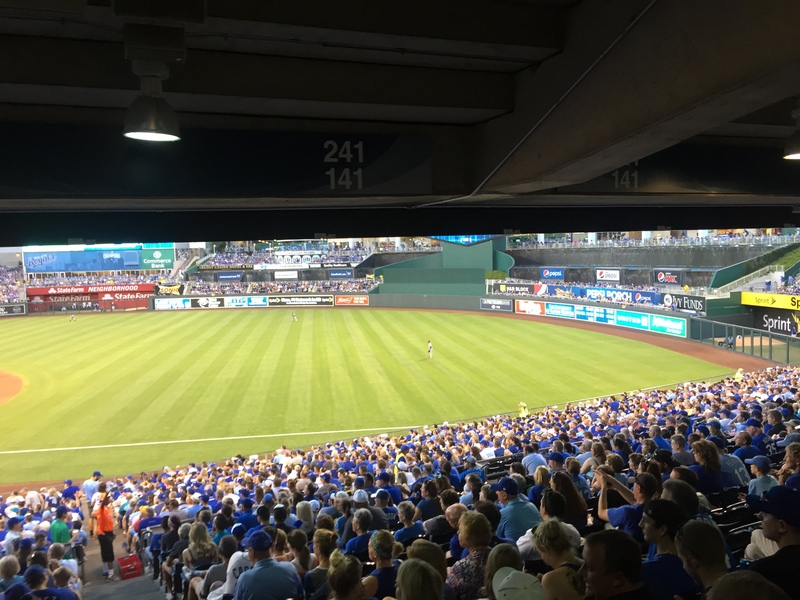 With the amount tickets we are selling on a daily basis, we get a lot of questions about the experience at The K. To clear up some of the questions you might have, check out our tips on Kauffman Stadium tickets. If we aren’t covering everything, don’t hesitate to give Tickets For Less a call at 913-685-3322. How old do you have to be to need a ticket? To need a ticket, there is no age requirement. The Royals have a minimum height. “Children 32 inches (2 feet 8 inches) in height and under do not require a ticket to enter Kauffman Stadium for Kansas City Royals games,” the Royals’ website states. If your child is under this required height, however, they cannot occupy a seat and must sit on the lap of an accompanying adult, the website states. 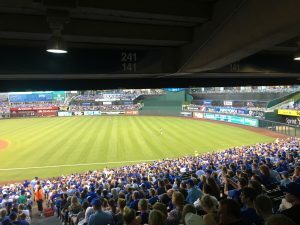 If you’re hoping to catch a foul ball on your next trip to Kauffman Stadium, you can optimize your chances with a few changes to your seating choice. To bring your child home with a souvenir, bestfoulballseats.com suggests picking a seat close to an aisle to maximize your chances to catch a foul ball. This gives you a lot more room if a ball bounces down the stairs or isn’t quite falling right near your seat. At The K, your best bets for foul balls are probably going to be near the foul poles and down next to the dugouts. You will have the chance to be up close to the players so they can throw you a ball in this area and you will also be in prime position to catch a foul ball that a batter chops into the stands. Seats in the lower deck (sections 209-246) and closer to the concourse can obstruct the complete view of The K. You can see the entire field, the diamond and all of the outfield, but you may have a seat that restricts your view of the Crown Vision video board and the areas beyond the outfield wall. Some seats in these sections are in the sun and some are in the shade. Depending on what you want, make sure you check your view on the ticketsforless.com seating chart when you look at ticket listings for games. As we get closer to the All Star break, the race to the playoffs will start to take shape. The Royals figure to be in a position to win the AL Central this season, but the competition is very tough. The Chicago White Sox have one of the best pitching staffs in the major leagues while the Cleveland Indians have started their season off with a great record. As the playoff race picks up when July turns into September, ticket prices are going to change. 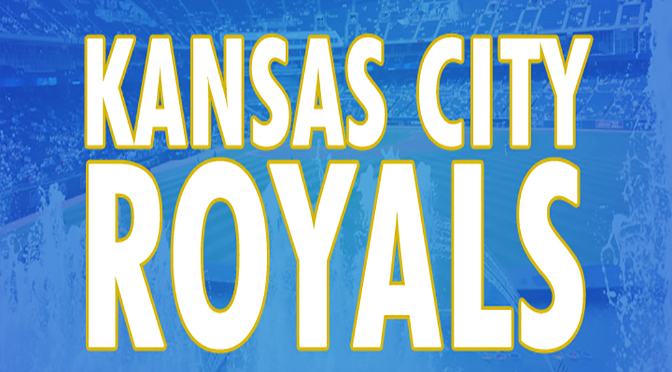 If the Royals are on their way to making the playoffs, expect ticket prices to be competitive. If the team isn’t doing so hot, prices might be a little lower. The biggest games to catch this season will probably be happening in the month of September. Since this is arbitrary depending on a lot of factors, please give Tickets For Less a call for some more up-to-date information. Tickets For Less owner Dan Rouen appeared on FOX 4 to discuss how to avoid ticket scams at Royals games. Watch the video to hear his advice. Tickets For Less is an Overland Park, Kans.-based ticket seller. We are one of the biggest sellers in the country for Kansas City Royals, Kansas City Chiefs, Kansas Speedway and Sprint Center tickets. We sell tickets with no hidden fees or added taxes, so the price you see listed is the one you will pay at checkout. To order from Tickets For Less, call 913-685-3322 or visit our website.